Last weekend, I did the impossible and I got up early. Why, you say? I had a good reason: donuts. Lots of donuts. 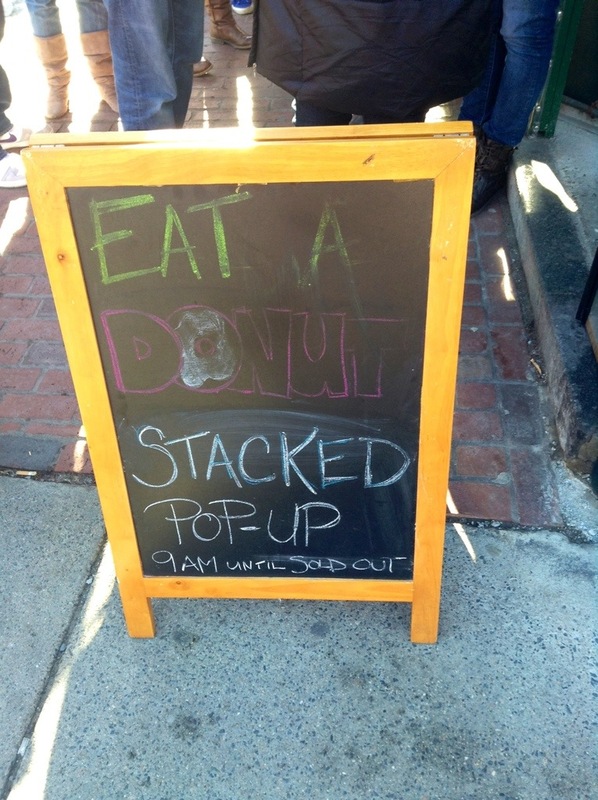 I checked out Stacked Donuts, a pop-up donut shop that was the brainchild of Chef Stephanie Cmar, one of my favorites from Top Chef last season ( and who happens to be close friends with Kristen Kish, who I staged with recently). Chef Stephanie had her pop-up for three weekends, and, even though its over for now, she plans to open an actual brick-and-mortar spot, so think of this as a super early preview. 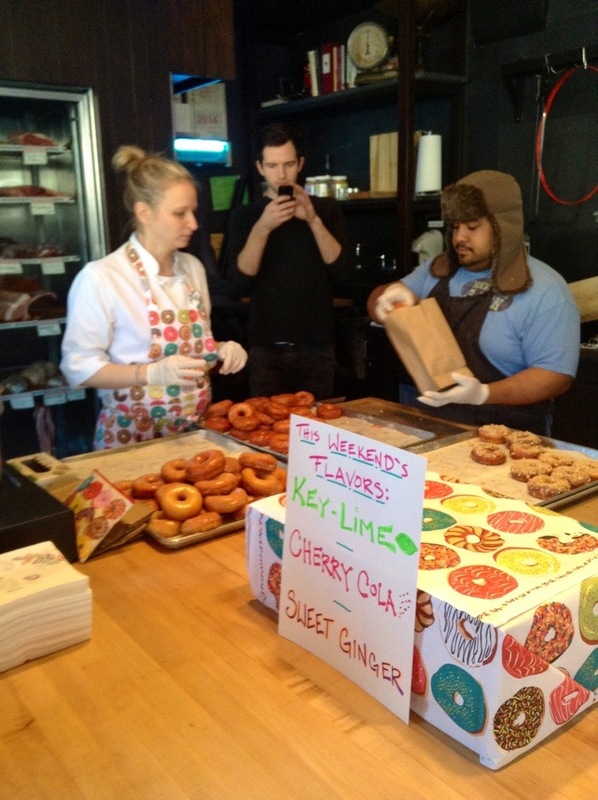 Word on the street is some donuts might be popping up next weekend as well, so I’d check Twitter just to be sure. I’m glad I got to try Cmar’s donuts now though, cause I’m greedy. 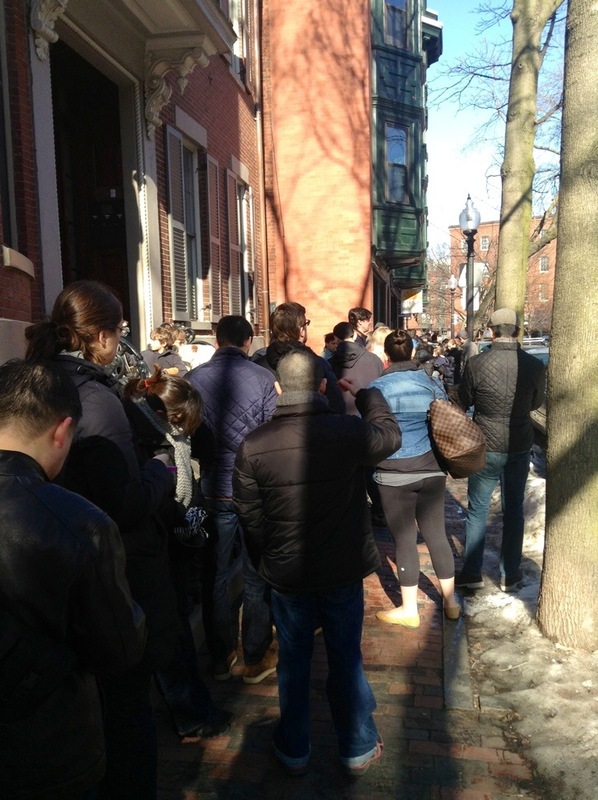 I was worried about the donuts selling out, so The Russian and I showed up early, and it looked like we were late. By the time we got inside there were 35 of each kind left. At least I know I’m not the only greedy one around here (I also got two of each). The best part? 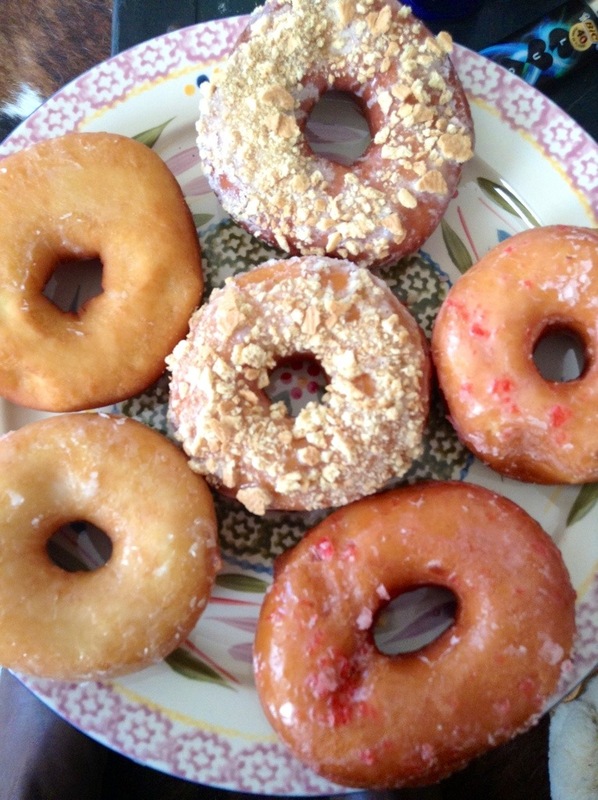 We got six donuts for $18 which is expensive by donut standards but cheap by this blog’s (and most people’s) standards. The flavors were excellent, the cherry coke was The Russian’s favorite (how did she impart cola flavor onto a donuts? Genius), and the sweet ginger was mine. I also loved the key lime, but ginger is one of my favorite flavors out there. Plus, the key lime was quite lovely, but I always like to just go for the real pie instead. 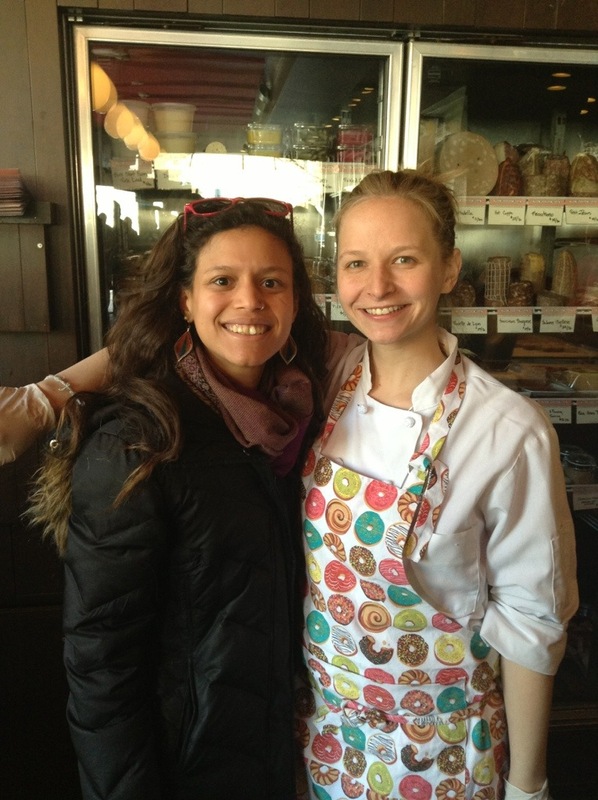 Also, I got to meet Chef Stephanie, and she was just as cute and sweet as she was on Top Chef. I really hope she has success in her new baking venture, she seems like she really deserves it. She even took a photo with me. Excuse my disheveled-ness, I did mention I’m not great in the mornings. Trust me, those donuts were worth getting up for. Thanks chef!